Being actively involved in the hackspace and maker scenes, I have run many soldering and electronics workshops. 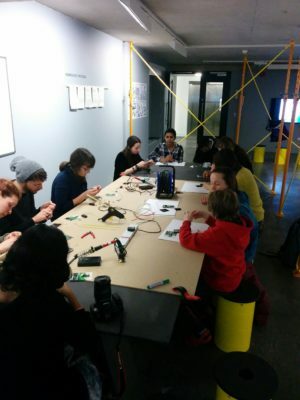 Soldering workshops Get started in electronics by learning to solder. I designed a very simple flashing robot badge for Nottingham hackspace. 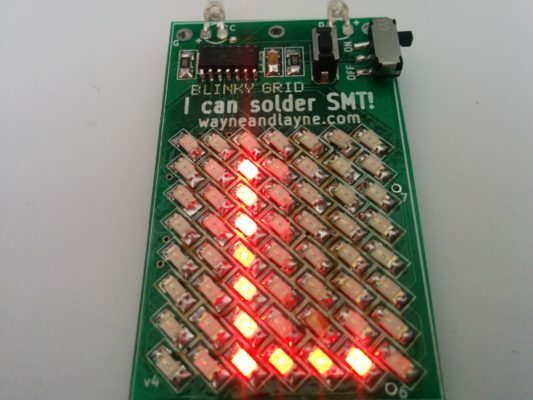 This is a quick soldering project for participants to learn the basics of soldering. Electronic kit workshops I’ve also worked on a range of electronic kits, available from my store: curiouselectric.co.uk. These are relatively simple kits to measure and monitor the world and our environment. I have run workshops to build my kits at many events including Maker Faires, Open days, University groups and at my local hackspace. Printed Circuit Board workshops This workshop covers the principles of making a circuit board, from design to manufacture. 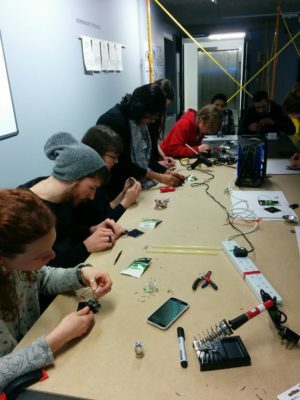 This is a hands-on workshop where participants produce their own small circuit board.